Sri Lankan Ambassador to Qatar A.S.P. Liyanage yesterday denied reports of being recalled by President Maithripala Sirisena, claiming instead that he had resigned. He added that he had requested the President to relieve him of his position as he wanted to be of service in Sri Lanka and nowhere else in the world. 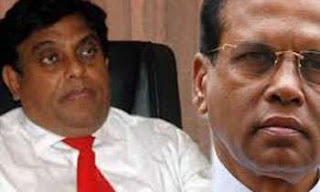 It was reported that Mr. Liyanage was expecting to be appointed as a governor during the recent governor reshuffle, but was disappointed at being overlooked. Despite this he would continue to support the President, Mr. Liyanage said.